Below are some of the couples I’ve been fortunate enough to work with. If you’d like to see a larger collection of photos, you can view a large gallery by clicking here. Georgia and Nick were married at a beautiful DIY backyard setting in Second Valley, it didn’t take much convincing to head up the cliffs for some photos! Georgia and Charl chose Utopia at Waterfall Gully as the spot where they would seal their love. We had an incredible day from laying in a pile of leaves to enjoying some incredible wood fire pizza! Kayla and Stevie chose an incredible DIY local day to celebrate their love of 9 years in front of their family and friends. Some of my favourite local suppliers were involved in making this day special, I love Murray Bridge weddings. We pulled an audience too! Zach and Shiv were once separated by a border and a couple of thousand kilometres. Zach and his best man Kaine’s determination to make the round trips to Adelaide from Bendigo were what brought them closer together. Photographing these two was made incredibly easy by their unwavering love for each other. They sealed their vows in front of loved ones at Sunnybrae Estate. Danhi and Hayden knew exactly what they wanted from their rustic DIY country wedding, and that was for all of their guests to enjoy themselves. Between wood fire pizza, perfect weather and smiles wherever you looked, it was easy to tell they succeeded. During golden hour all we had to do was cross the road to get to this amazing natural country setting. 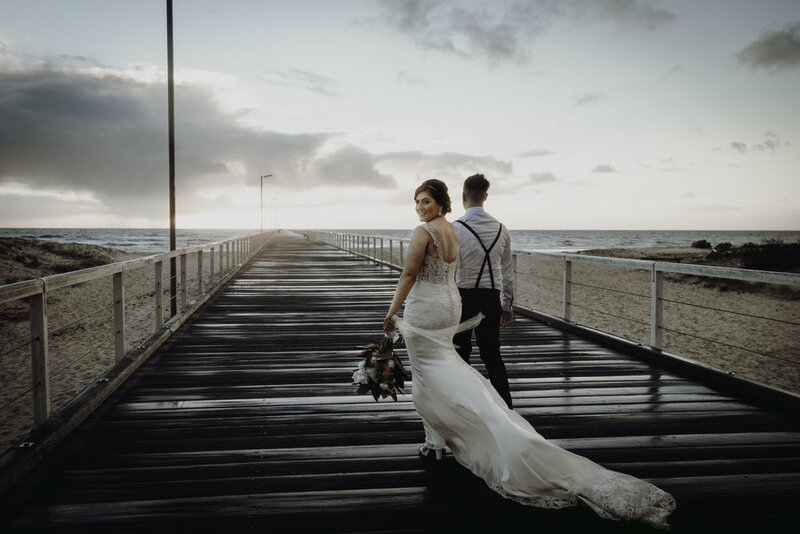 I think Tara and Sam are amphibians, they love the ocean as evidenced by their Goolwa wedding at the Fleurieu Function Centre with their ceremony on the lawns nearby. We had a fun bridal shoot running around the town between the bottle-o and the beach. Their day was dominated by 30kh winds but with our feet firmly grounded, we got some results everyone was happy with and Tara and Sam enjoyed their evening with friends. Chrissy from Adelaide and Kaine from Bendigo were once long distance lovers, with Kaine and his best man Zach often making round trips so Chrissy and Kaine could be together. Chrissy and Kaine celebrated their wedding ceremony at Glanville Estate in Semaphore, surrounded by family and friends. The weather was extremely unpredictable, with beautiful golden hour glows while travelling to our bridal shoot location and then torrential rain upon getting out of the car. But we prevailed and were rewarded with stunning results. Jed and Charlotte were married at The Adelaide Australia Temple with their family and friends before we travelled to Angaston for a beautiful DIY reception at the Town Hall. We couldn’t help but stop at a canola field and risk being late on the way. We were treated to great weather despite rain threatening to force it’s way into the agenda all day. We spent the sunset hanging out in a park across the road from the venue and got some amazing natural results as pictured. Chris and Sriyani are two of my old workmates, so naturally I was more than happy and excited to capture their special day. They opted for a surprise engagement/ wedding at the Stirling Hotel (Much to their family’s delight). A few weeks before the wedding we headed up to Mt Lofty summit to get some shots with the city in the background. The rain had other ideas, but we worked with it and the result was a very cool wintery shoot that I was very happy with. Jack and Cooper were married at Carrick Hill in a wonderful natural ceremony, it wasn’t hard to find nice spots for photos at such an amazing venue. I was extremely fortunate to shoot Cooper and Jack’s maternity shoot a month later too! Emma and Brad chose SA Company Kitchen in Angaston as the location for their beautiful outdoor ceremony with green details to match. We captured some incredible shots in the town’s park which features a walking trail. It was so colourful for April and the weather was very kind to us! 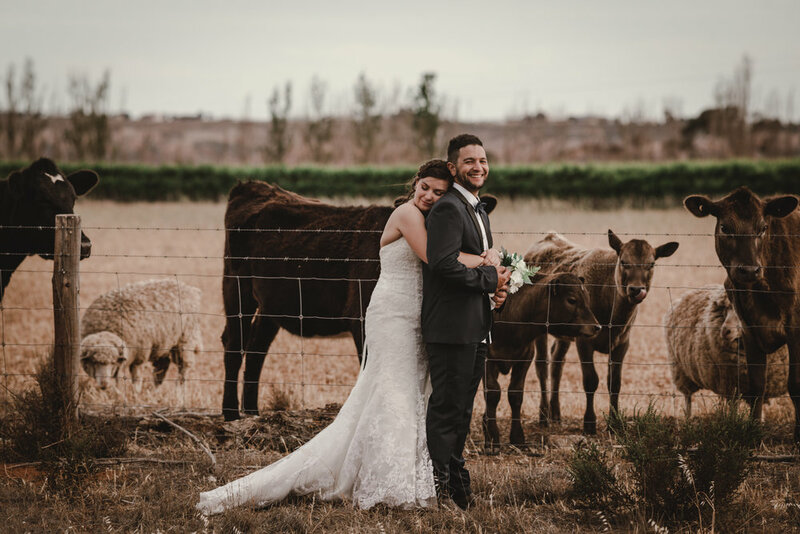 Jess and Anton celebrated their day in style by being the first couple to be married at the newly established Mylkapa Wines in Birdwood. They shared their love filled day with their daughter Eleanor who was always up for a photo. We couldn’t resist hanging out in the colourful grape vines. These two had my idea of a good weekend. Their guests pulled up houseboats to a private reserve in Younghusband as Jack and Laura celebrated their marriage in a small ceremony surrounded by family and friends. We used the rolling hills covering the reserve for some amazing shots. Jack and Laura setup a DIY reception with fairy lights and a relaxed picnic setting as they enjoyed their weekend in paradise. Sarina and Jeremy had the unfortunate case of their photographer cancelling on them, so with a week from their big day I got to know them and scouted Milang for locations we could use during their fully DIY backyard wedding. Something went right because we were fortunate enough to be featured in the Sunday Mail, the Milang Community Newspaper and on Real Weddings. These two lovebirds chose their remote community town of Pompoota for their wedding day. Pompoota Homestead featured an incredible wetland setting with a rustic setting. Riley and Michelle chose their ceremony location next to the river and made our job very easy with the love they have for each other.